Bracelet - Peyote Stitch. 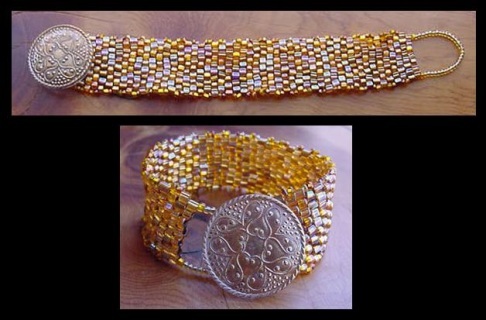 Gold glass seed beads, resin button clasp. $42 plus $5 shipping. Bracelet - Peyote Stitch. 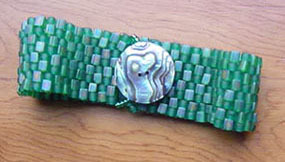 Green glassbeads with paua shell button clasp. Length approximately 8 & 1/2 inches. $44 plus $5 shipping. 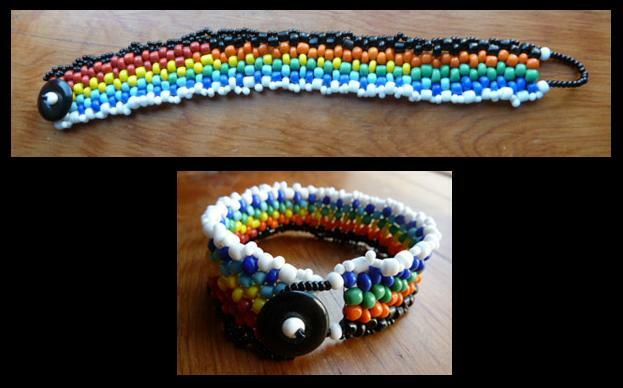 Bracelet Peyote Stitch, Multi-color glass beads and obsidian button clasp. Length approximately 7 & 1/4 inches. $27 plus $5 shipping.